Welcome to our seventh millennium. The Egyptian history started 6,000 years ago on the banks of the great river Nile; and those ancient ones reached a technology we still don't know much about! Inspite all the technologies the world has reached, there are many secrets that were buried with those ancient kings and queens. In this site you will find all sort of stuff that can be used as presents to friends, or for decoration of your room. You will find statues of ancient Egyptian kings and queens, you will also find papyruses ( i once sent a love letter on one; it was extraordinary). In the decoration page you will find a plate and a tableau decorated with drawings of ancient Egyptians. For people who like to look different and stylish we offer you the chance to get necklace pendals, and bracelets with your name written on them in the hieroglyphic writing (language of the pharaohs) on them. 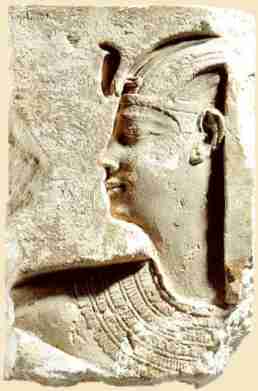 of the face of any pharaoh as Tutankamun, cleopatra, nefertiti ,..etc made of silver or gold or whatever material you want! Lots and lots of ladies love belly dancing all around the world. Some say it is Egyptian in origin, others say it is not.. 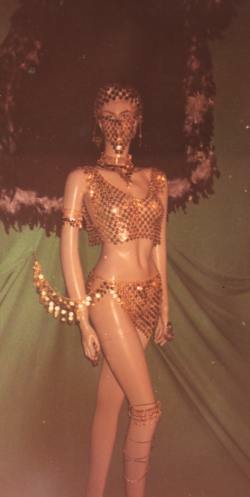 The origin does not matter as Eygpt is very famous with belly dancing costumes and all its accessories . Here is your great chance to buy them, all colors and all sizes. Think about anything Egyptian and we will be very happy to send it to your door!